Effective business management requires skilled maneuvering between different issues and factors concerning the business, but this process also involves making some tough decisions, and doing so at the right time. One such tough call is the decision to move your office to another location. This is usually for the better though, as business owners or office managers have resorted to moving their workplace in search of more business, better customer exposure or reduction of current rental costs. 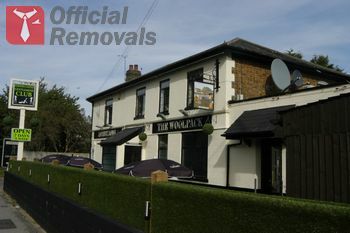 Regardless of the purpose and reasons behind your office removal, we can help you make the whole process much easier and more efficient, as we arguably provide the best office removals in Harlington. We know what makes a good office removal service, and we know how to structure and carry out our service solutions in such way as to be of genuine service to our customers. Good quality office removal service is all about details. The more details and information we have on your service expectations and specific concerns, the better removal service we will provide you with. Depending on the scale and complexity of your office removal, as well as its timeframe, we might suggest conducting a preliminary job viewing with one of our qualified logistics experts, who will walk you through each stage of the removal process and explain why and how we do things. The preliminary job meetings are invaluable for us, as we gain better understanding of what you need and how you need it done. There are no two office removals alike, and each one has its own specifics and challenges, and individual approach is the only way to devise and implement the right service solution as per customer requirements and budget limitations. We are the experts of professional office removals in Harlington, because we know our work inside out and strive for exceptional results every time, no matter how complex or elaborate the job. We don’t compromise on quality or efficiency, this is why we work with dedicated, seasoned professional movers, who have what it takes to deal expertly with all aspects of the office removal process.